professor i klimafysik Jens Hesselbjerg Christensen, Danmarks Meteorologiske Institut. av Jan Even Øie Nilsen, Nansensenteret og Bjerknessenteret, Bergen. Oda Roaldsdotter Ravndal, Kartverket, Sjødivisjonen, Stavanger. 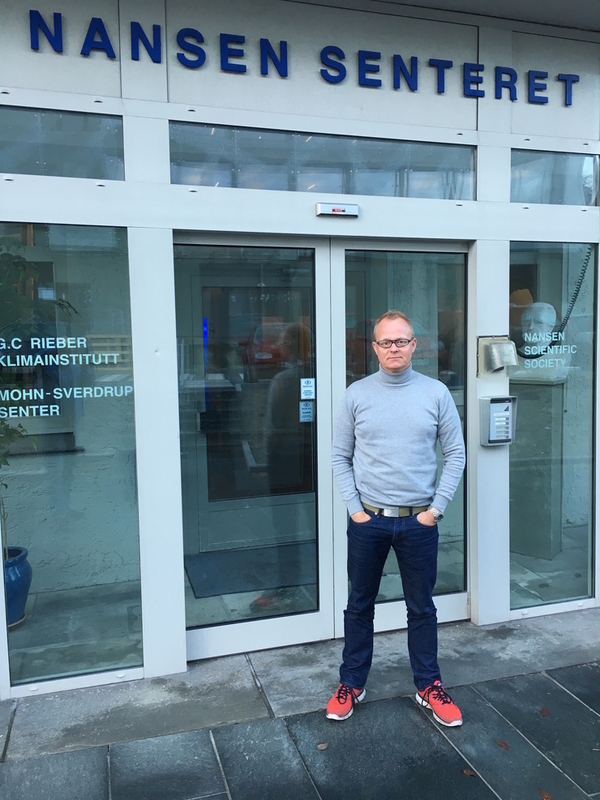 Kristian Breili, Kartverket, Geodesidivisjonen, Hønefoss. Kronikk i Fyn Stiftstidende 13. januar 2017.
af Sebastian H. Mernild (Ph.D. og Dr. Scient. 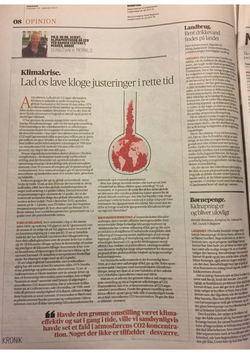 ), klimaprofessor og CEO ved Nansen Centeret, Bergen, Norge. 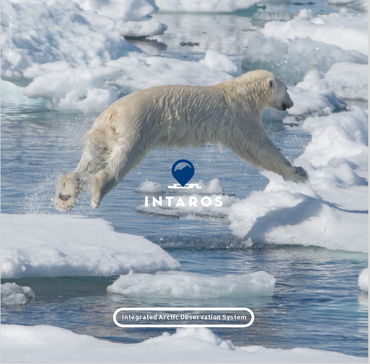 The environment in Arctic region is now changing significantly due to increased temperature, thinning and decrease of the sea ice, melting of the Greenland Ice Sheet, thawing permafrost and changes in atmosphere and ocean circulation. Such changes have global as well as regional implications, including e.g. 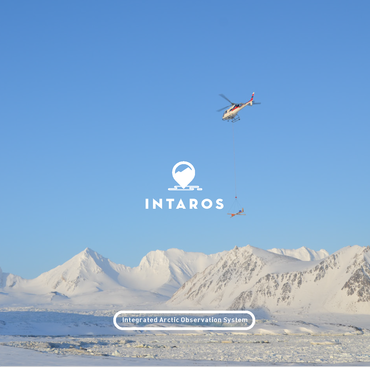 INTAROS Økt interesse for og aktiviteter i Arktis krever ny forskning for å dekke kunnskapsbehovet om et Arktis i stadig endring. Arktis er viktig for klima og har økende betydning i mange sammenhenger som næringsutvikling, transport og fiskerier. Observasjoner og målinger er vesentlig for å utvikle ny kunnskap om Arktis. 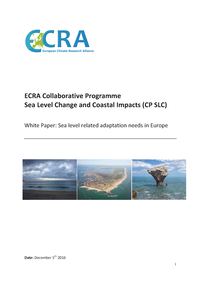 The white paper Sea level related adaptation needs in Europe addresses the knowledge gaps related to European research and governance facing future changes in the sea level. Based on the methods developed in his PhD studies The circulation of the Norwegian Sea - an investigation from space and ocean (2014) Dr. Roshin P. Raj has calculated the ocean surface current velocities in the Northern parts of the Indian Ocean. Ambassador Nils Ragnar Kamsvaag, secretary Ragnhild Vognild from the Norwegian Embassy and staff and students at NERCI in Cochin.His Excellency Mr Nils Ragnar Kamsvaag ambassador of Norway to India and Mrs Ragnhild Vognild, Secretary at the Norwegian Embassy visited the office of the Nansen Envrionmental Research Centre (NERCI) in Cochin on the 14th December. The visitors were received by Dr. Ajith Joseph, Director, Prof. N. R. Menon, Chairman of Board and Dr. Nandini Menon, Deputy Director. 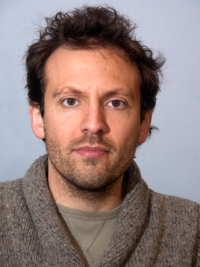 Nansen Center CEO Sebastian Mernild participates in an international study incorporating a comprehensive assessment of Greenland Ice Sheet melting suggesting that the freshwater influx could weaken the Atlantic Meridional Overturning Circulation (AMOC) over the next three centuries. Klar vinterdag med inversjon over Bergen.Dr. Tobias Wolf-Grosse har disputert for PhD. graden ved Universitetet i Bergen med avhandlingen An Integrated Approach for Local Air Quality Assessment under Present and Future Climate Scenarios. 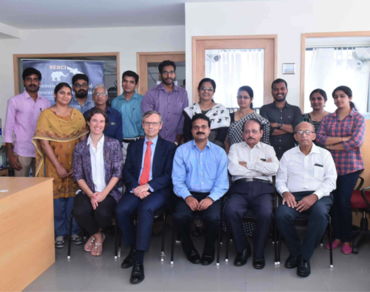 Lead by Dr. Syam Sankar scientists at the Nansen Centers in Cochin, India and in Bergen have published a joint paper on The relationship between Indian summer monsoon rainfall and Atlantic multidecadal variability over the last 500 years. Director Dr. Sebastian H. Mernild.Dr Sebastian H. Mernild (43) started to day as the Managing director (CEO) of the Nansen Center. 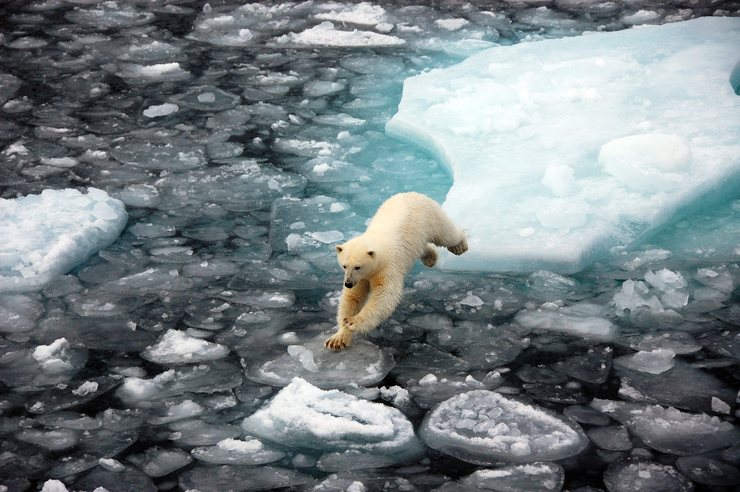 Dr. Mernild is a full professor in Climate Change and Glaciology. He defended his PhD and doctor scientiarum degrees in glaciology at University of Copenhagen. He has during resent years held positions as senior scientist and research leader in USA and Chile. 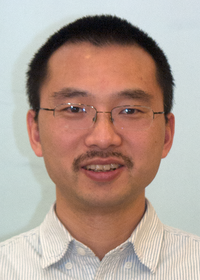 In 2016 he was appointed full professor at University College in Sogndal. The Board has appointed Dr.
To thrive in the rapidly changing Arctic environment people - like polar bears - have to adapt swiftly. The new Blue-Action project will help empower Arctic communities and businesses to make informed choices through better forecast systems. (Photo copyright: Dirk Notz, Max-Planck Institute for Meteorology).New Horizon2002 projet Blue-Action: Arctic Impact on Weather and Climate has started focusing on the Arctic Ocean with particpation from the Nansen Center. 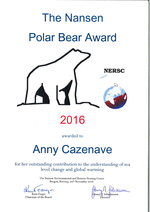 Nansen Polar Bear Award 2016. 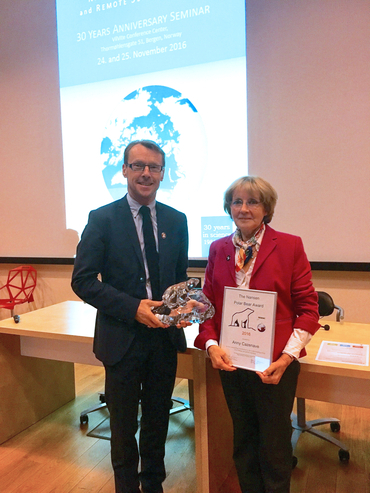 Prof. Anny Cazenave receives the Nansen Polar Bear Award for 2016 from director Johnny A. Johannessen during the 30 years anniversary seminar.The Nansen Polar Bear Award for 2016 is given to Prof. Anny Cazenave for her outstanding contribution to the understanding of sea level change and global warming.